Sound and music play an eminent role in modern everyday life. With the increasing digitization, audio is experiencing an enormous boost. Noise and bad acoustics affect our health much more than we are aware of. More than ever we need to ask ourselves how we want to shape our acoustic environment. 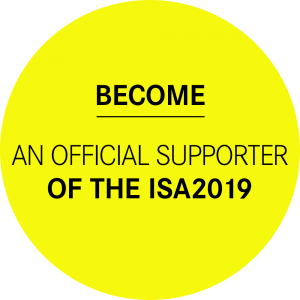 The International Sound Awards (ISA) promote innovative, smart and useful sound projects, products and services that contribute to the motto: Make The World Sound Better! The ISA connect and bring people from different industries together: Sound Designer, Musicians, Acousticians, Engineers, Creatives, Artists, Scientists, Product Developers, Innovators, Students, Music Industry, Start-Ups, Investors, Organizations, Practitioners, Advertising, Agencies, Branding Experts, Media, Journalists and further interested people. Being part of the Reeperbahn Festival, Europe’s largest club festival and B2B platform for the music and digital industry, the International Sound Awards offer industry professionals a programme that includes sessions, networking events, meetings, showcases, award shows and concerts with international up-and-coming artists. The Audio Branding Academy, founded in Hamburg in February 2009, is the initiator of the International Sound Awards. Furthermore, it runs the Audio Branding Society, a business club solely for approved audio branding agencies. This think tank possesses a strong, global network of experts and is constantly developing excellent competency clusters. The Audio Branding Academy presents a profound market overview and lends corresponding support to companies looking for exceptional audio branding agencies. It provides agencies with a platform and offers them numerous academic services like contract research and white papers. The tool AUDIO LOGO DATABASE allows brands and agencies to research audio logos in a substantiated and comfortable way.